The Ernie Ball 5 String Regular Slinky Flatwound Bass 5-String Bass Guitar Strings is a set of 5-string bass guitar strings, featuring a hexagonal core, with a flatwound cobalt wrap, and gauges of .045 - .130. 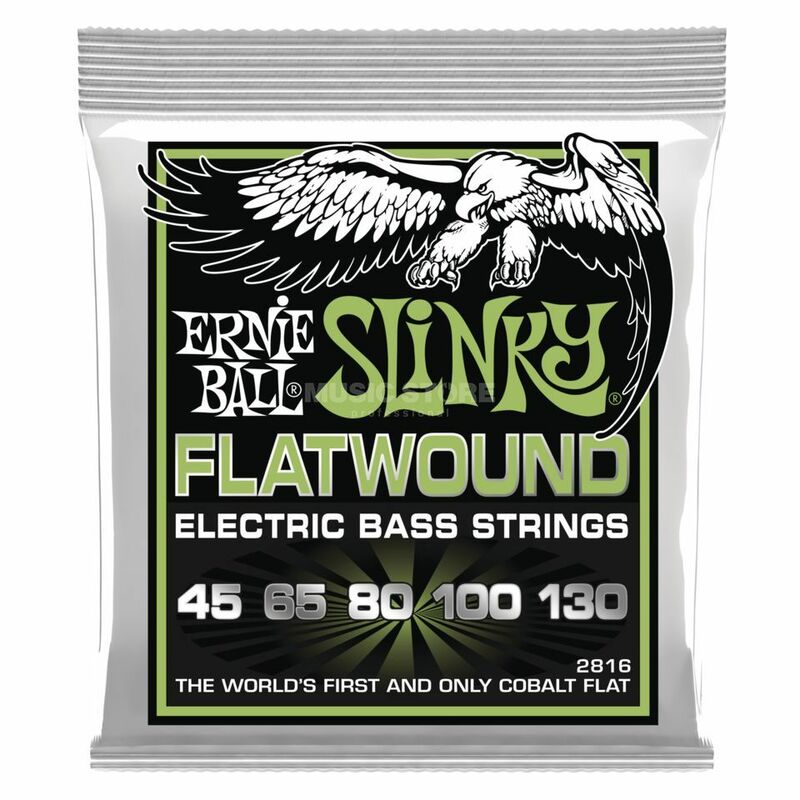 Ernie Ball Slinky Flatwound Bass Strings combine the smooth feel of traditional flats and the modern power of Cobalts. Featuring a SuperBright Cobalt Ribbon wrap, Cobalt Underwraps and optimal hex-core to wrap ratio, the new Flatwound Bass strings are the first flat that actually feels like a flat and sounds like a round.